Blue World City Overseas Block is planned to have direct access from Chakri Road, and it will have its own dedicated gate right next to the existing under-construction gate. The society is ideally located on Chakri Road with beautiful surroundings away from the chaotic life of the city. Rawalpindi Ring Road is going to connect this area with Motorway M-2 and Islamabad in the next 2 years or so, therefore this location is gaining attention of investors across Rawalpindi/Islamabad. Unlike other blocks of Blue World City, the Overseas Block is designed specifically for the overseas Pakistanis who want to enjoy the modern luxuries of life with a sense of security. Large open areas have been reserved for parks and greenery, as well as other amenities. Separate clusters have been designed for different sizes of plots and villas, thus creating a fully master planned community development. 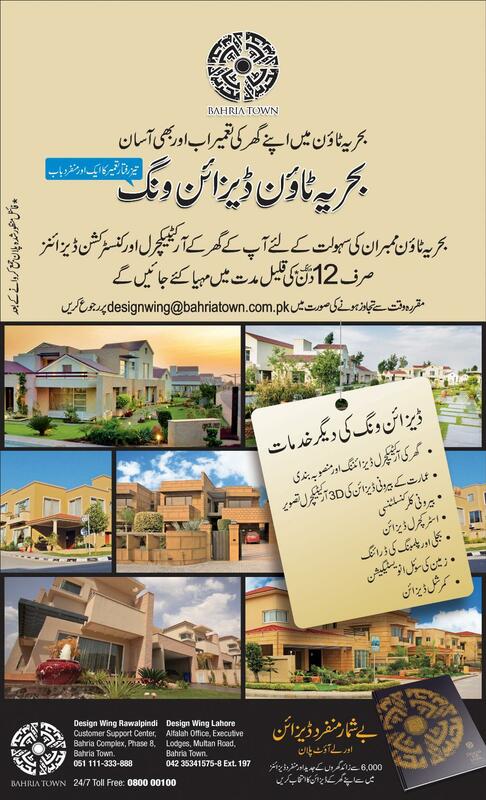 There are very limited plots available for booking in Blue World City Overseas Block. Currently, the society is offering only a few sizes of residential plots, i.e. 7 marla, 10 marla, 14 marla, 1 kanal and 2 kanal. Bookings start from just 20% down payment, while remaining amount is payable in 48 monthly or 16 quarterly installments. Please note that category plots (boulevard, corner, park face) will cost 10% extra from the actual price. 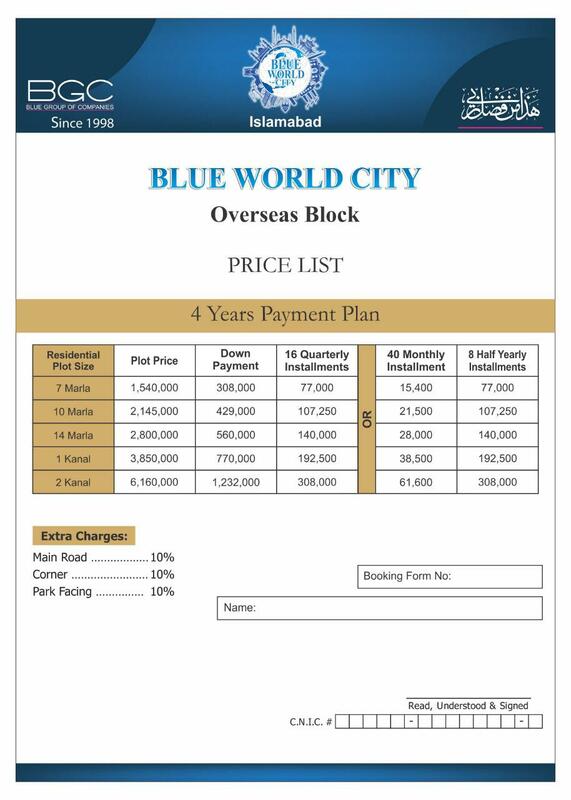 If you need more information on the Blue World City Overseas Block, or you want to reserve a plot in this scheme, feel free to contact us via email at marketing@manahilestate.com or whatsapp at 0345-5222253 for quick assistance.